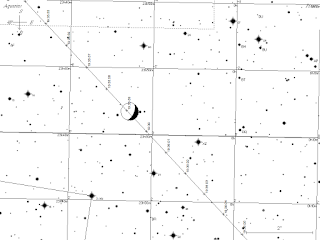 The Last Quarter Moon is Thursday December 3. 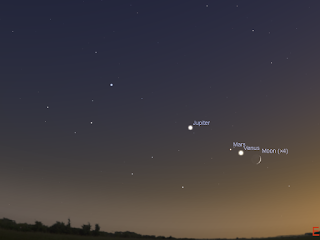 Jupiter, Venus and Mars form a line in the morning sky. 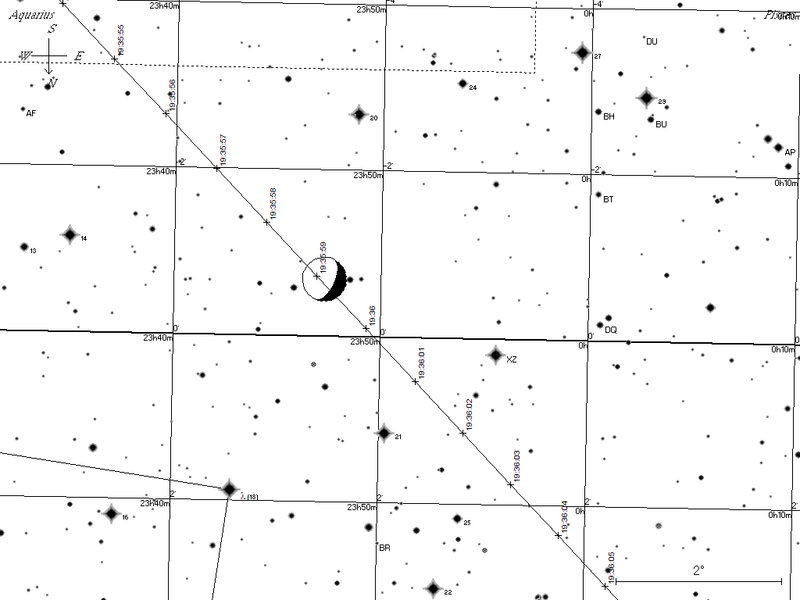 C/2013 US10 Catalina is low in the morning sky, and a telescope only object. 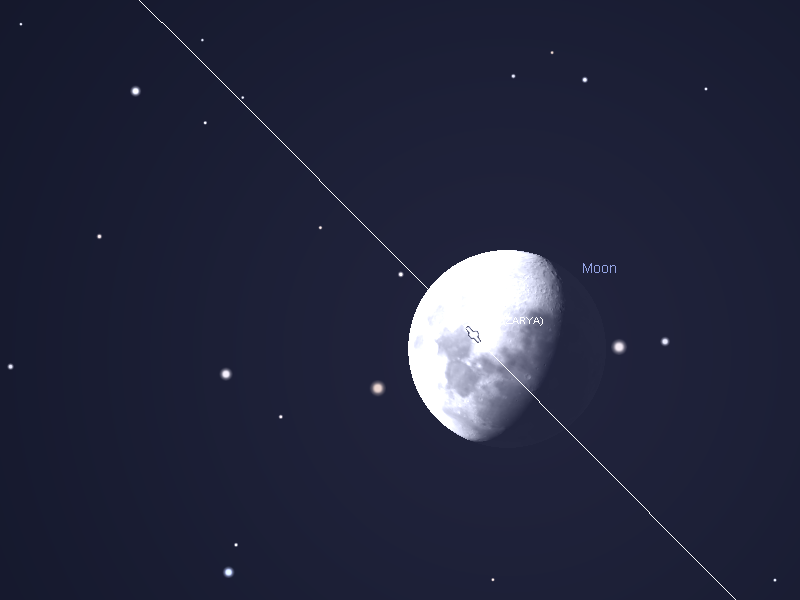 The Last Quarter Moon is Thursday December 3. Evening sky on Saturday November 28 looking east as seen from Adelaide at 21:00 ACST. The beautiful cluster the Pleiades, the Hyades and Orion . Similar views will be seen elsewhere in Australia at the equivalent local time. (click to embiggen). 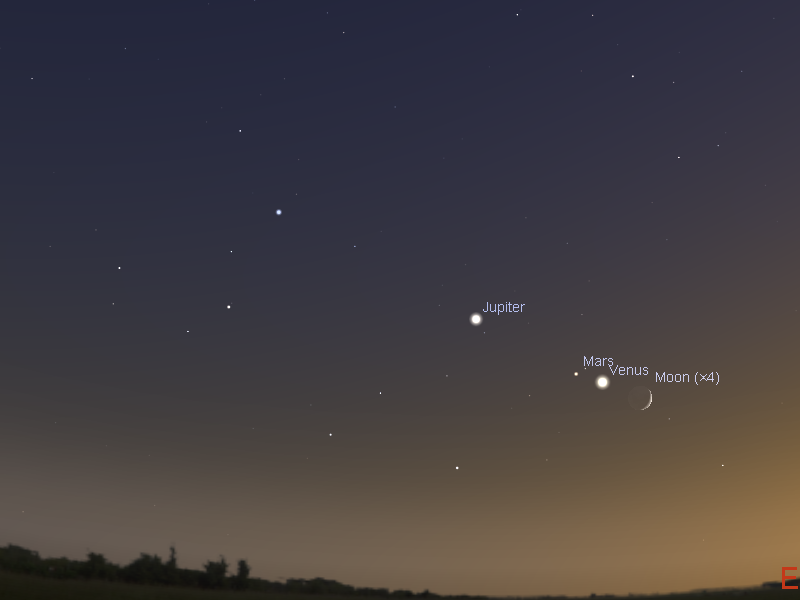 The evening sky is now devoid of bright planets until late December, when Mercury and Jupiter enter the evening sky. But while the evening is devoid of bright planets, the summer constellations of Taurus (with the V shaped cluster the Hyades forming the head of Taurus the Bull and the beautiful Pleiades cluster nearby) Orion the Hunter and Canis Major with bright Sirius, the dog star, climbing above the eastern horizon. 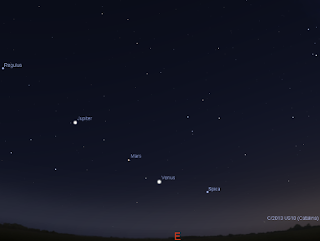 Early morning sky on Saturday November 28 looking east as seen from Adelaide at 5:00 ACDST showing Jupiter, Mars, and Venus and comet C/2013 US10. Similar views will be seen elsewhere in Australia at the equivalent local time. (click to embiggen). 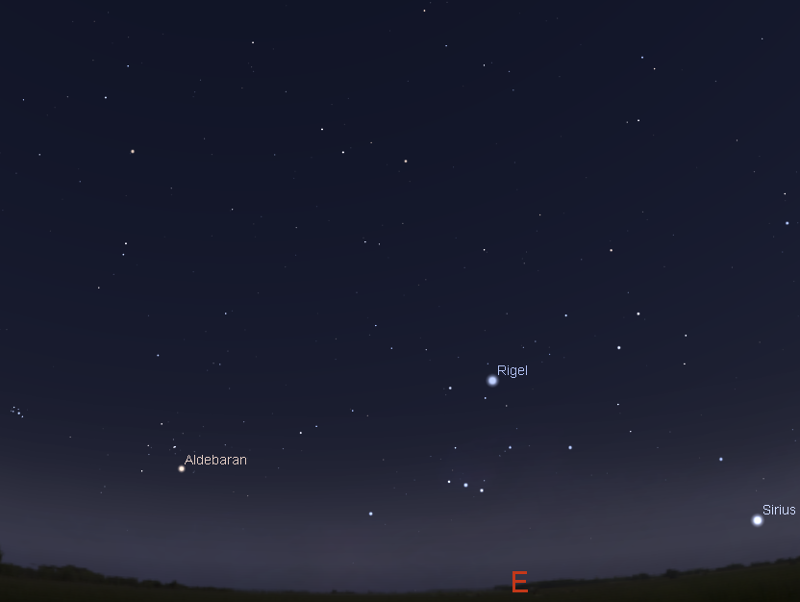 Jupiter, Mars, Venus and the bright stars Regulus and Spica form a line in the sky this week. Comet C/2013 US10 joins the line-up. It is much fainter than anticipated and at magnitude 6.1, and being low to the horizon, it is probably a telescope only object. 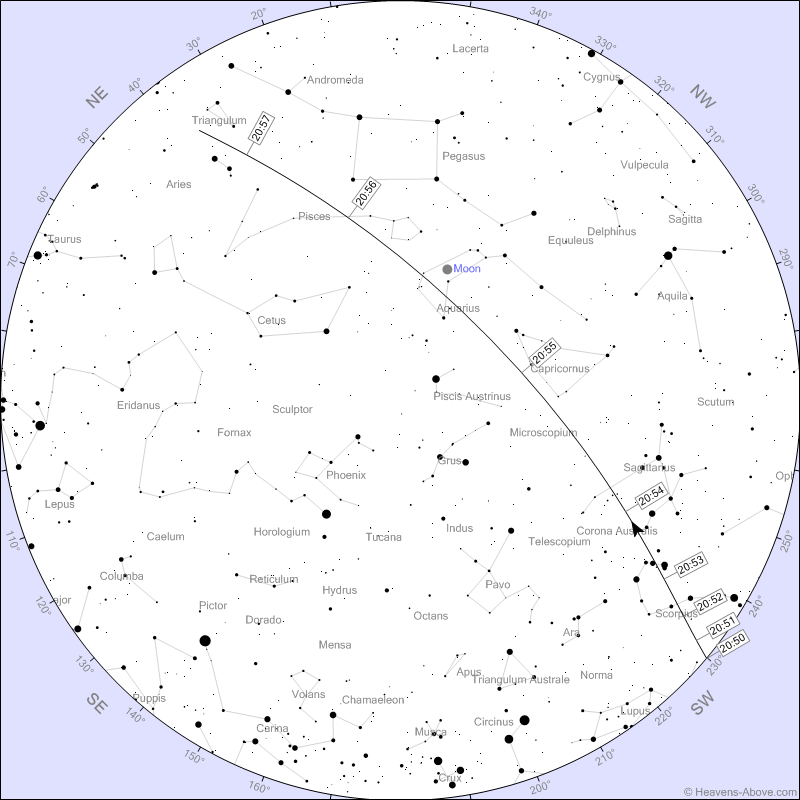 Tonights pass of the International Space Station form Adelaide was not as spectacular as Saturdays Moon crossing pass from Brisbane, but it was bright and beautiful as I ducked out on our guests to watch the ISS zoom past the Moon. Of course, I messed up AGAIN, and did not reset the exposure from 15 seconds to 5 seconds, but at least I got two trails of the ISS near the Moon (no lunar detail as the shorter exposure would have given me, unfortunately, still looked cool though. ISS as seen from the corner of Cloverbrook Place and Bethel St. Carina at 19:35:58 (click to embiggen) on Saturday 21 November. ISS as seen from the corner of Cloverbrook Place and Bethel St. Carina at 19:35:59 (click to embiggen) on Saturday 21 November. 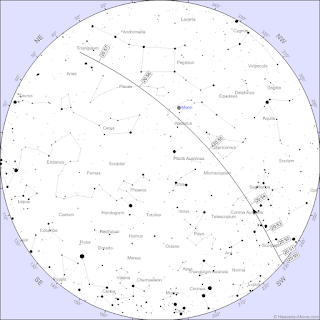 As noted previously, on the evening of Saturday 21 November, parts of Brisbane south of the river will see the International Space Station pass in front of the Moon (the rest of Brisbane will see it coming very close). The current path of the ISS puts it on a line running through Forest Lake, Dollandella, Acaia Ridge, Toohey Forest Conservation Park, Whites Hill Reserve, Carina Heights, Tingalpa, Wynnum and Elanora Park. However, the path of the ISS is still evolving, and the centre line may change further before Saturday. Use your exact location (or choose a location close to the centre line as defined above) in either CalSky or Heavens Above (both have drag and drop maps if you don't know your exact longitude, but it may take a while to navigate the layers) to see if the pass occurs where you are, or if you have to hike a bit to see it. 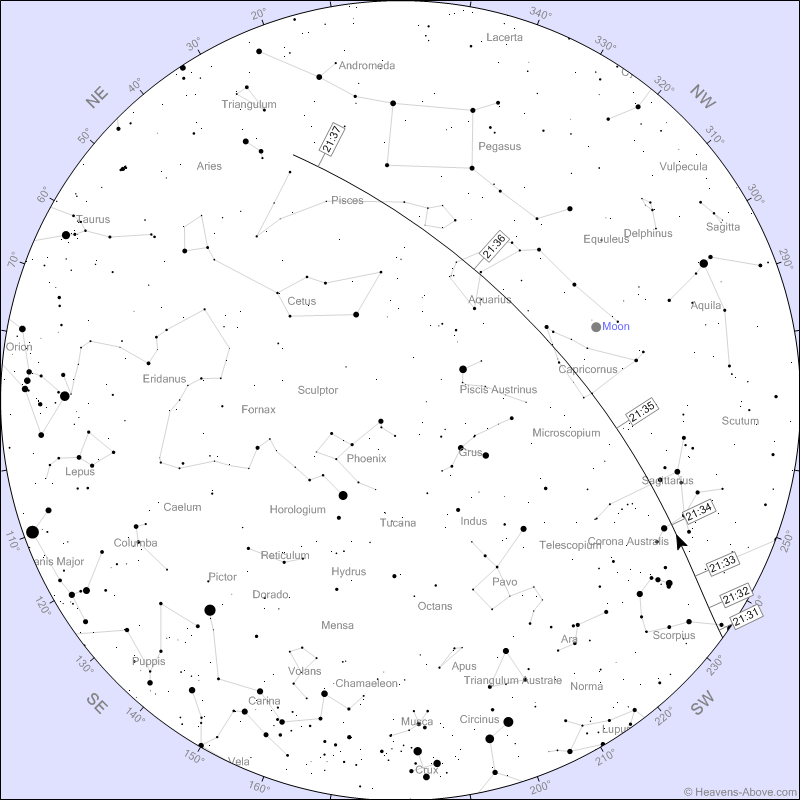 Chart of the position of the ISS with respect to the Moon at one second intervals. 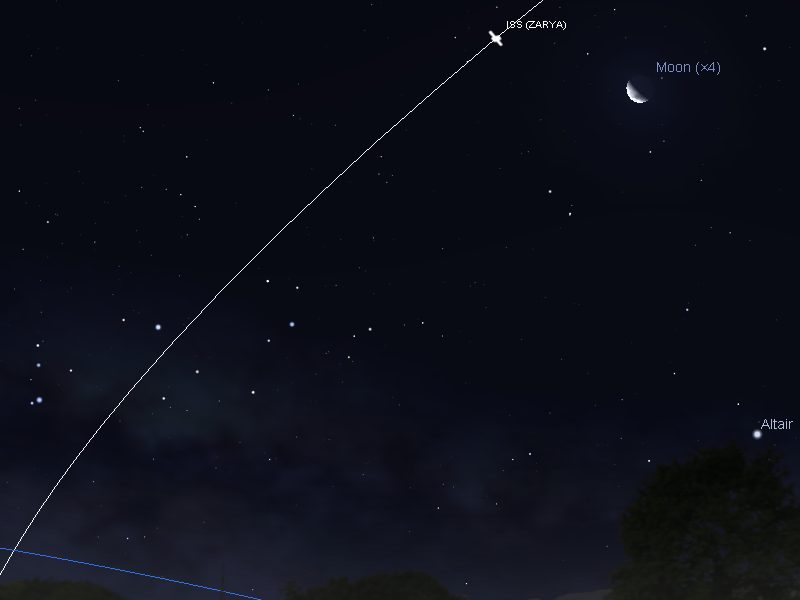 The ISS will be moving fast, and will cross the face of the Moon in under half a second. You will need to be set up well before hand. If you want to capture the pass, you should have a camera with a tripod and should use your cameras video feature (or rapid burst mode where a number of shots are taken in quick succession). Keep checking the timing on the evening of the pass, and be prepared for the published timing to be slightly out (that's why you should set up early and be prepared to video or take multi-shots in burst mode at times that bracket the nominal pass time). A watch or clock with sub second accuracy is a bonus. The Australian Space Weather Service (SWS formerly the IPS) has now issued a Geomagnetic Warning in southern Australia from 18-19 November from a CME impact. The NOAA site has a predicted G1 storm for 18-19 Nov (UT, 19 Nov AEDST) In the last geomagnetic storm activity was seen in the early morning and is likley to be on the early morning of the 19th. In previous storms the best views were from 11:30 pm - 12:30 am but there was activity the following day. There is a strong possibility we will get unaided eye visible aurora in both Tasmania and the Southern mainland based on previous events. Evening skies will have minimal interference from the waxing Moon, cloud conditions are rubbish at the moment, but may clear on the 19th. As always look to the south for shifting red/green glows,beams have been reported consistently over the last few aurora and a large green "blob" has been seen, and in quite a few of the recent ones we have had white "proton arcs". blow from the CMEs observed late on 15 and early on 16 November. unsettled to minor storm levels on 19 November. 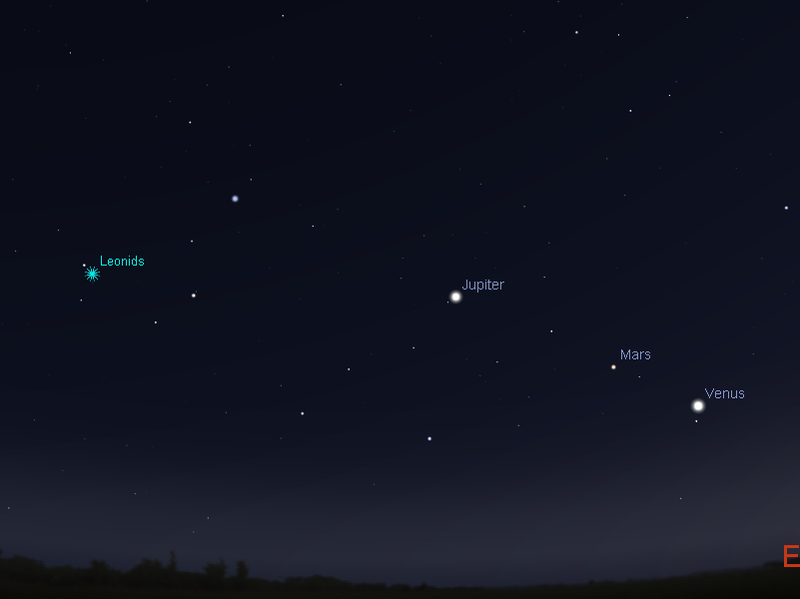 Morning sky looking north-east as seen from Adelaide at 5:00 am local daylight saving time on Wednesday November 18 and Thursday November 189 showing Jupiter, Mars and Venus near Leo, with the Leonid Meteor shower radiant indicated with a starburst. Similar views will be seen elsewhere at the equivalent local time. Click to embiggen. This is a not a particularly good Leonid year. Very few meteors will be visible (maybe one to two per hour). You can use the Meteor Flux Estimator to get a prediction for your location. Use the 13 Leonids option and don't forget to set the year to 2015. 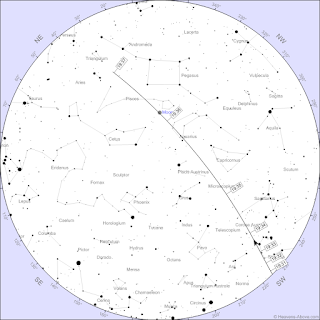 The International Space Station passes near Grus and Fomalhaut tonight (Tuesday 17 November, click to embiggen). It was very bright, but I set the camera for Iridium flares (one single long exposure rather than many short exposures), still, it was the harbinger of a nice series of passes over the coming week. The Full Moon is Thursday November 26. Saturn is lost in the twilight. 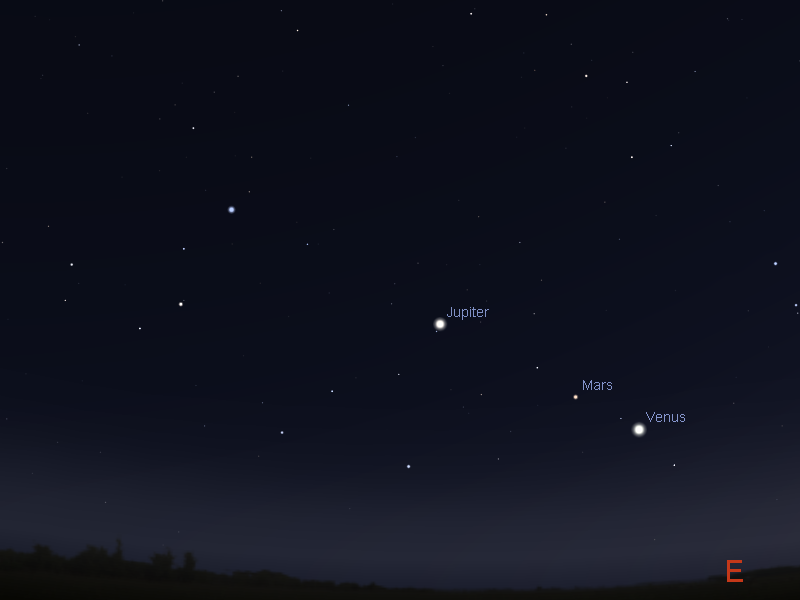 Jupiter, Venus and Mars form a line in the morning sky. 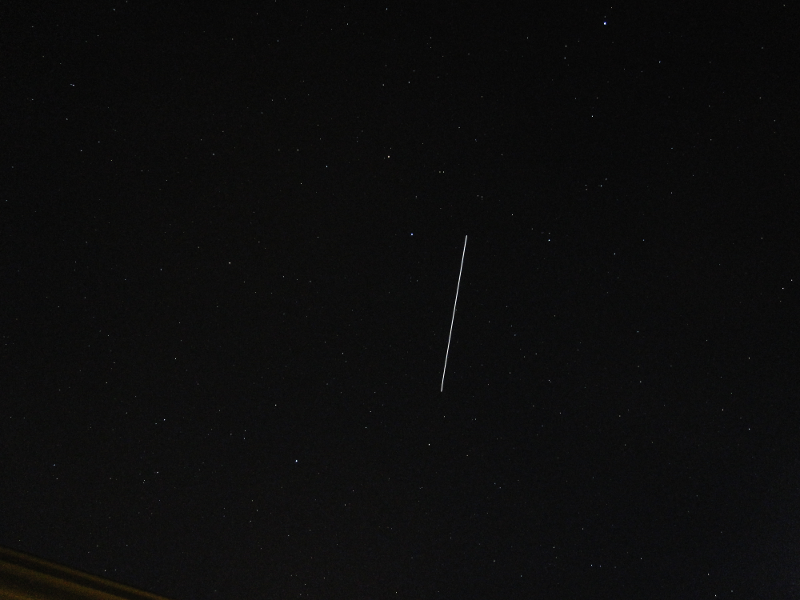 A series of bright International Space Station passes brighten up the evening. The Full Moon is Thursday November 26. The Moon is at Perigee, closest to the Earth, on the 24th. Evening sky on Saturday November 21 looking east as seen from Adelaide at 21:00 ACST. The beautiful cluster the Pleiades, the Hyades and Orion . Similar views will be seen elsewhere in Australia at the equivalent local time. (click to embiggen). 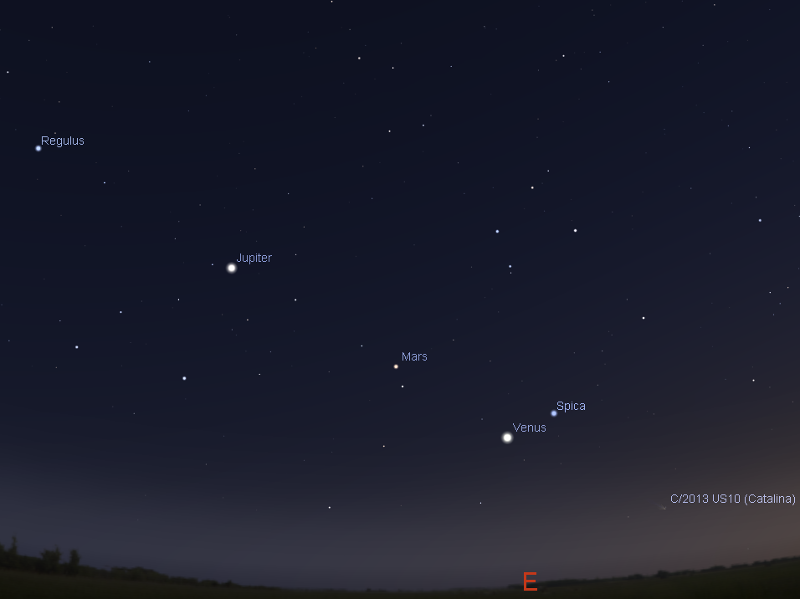 Early morning sky on Saturday November 21 looking east as seen from Adelaide at 5:00 ACDST showing Jupiter, Mars, and Venus and comet C/2013 US10. Similar views will be seen elsewhere in Australia at the equivalent local time. (click to embiggen). 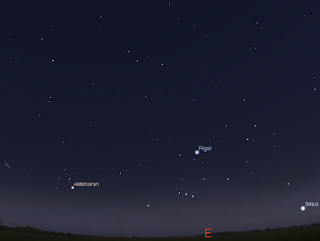 Jupiter, Mars, Venus and the bright stars Regulus and Spica form a line in the sky this week. Comet C/2013 US10 joins the line-up later in the week, but is much fainter than anticipated and is probably a telescope only object low above the pre-dawn horizon. 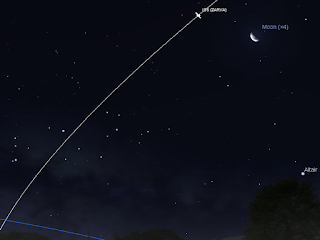 The ISS passes near/over the Moon, as seen from Brisbane on the evening of Saturday 21 November at 19:36 AEST. Simulated in Stellarium (the ISS will actually be a bright dot and the size of the Moon is exaggerated), click to embiggen. There are a series of bright International Space Station passes in the early evening during the week. 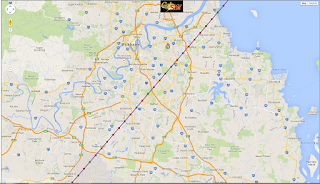 In some stes the Moon passes close to the Moon, and for Brisbane it may even pass over the Moon. More details and state specific instructions here. 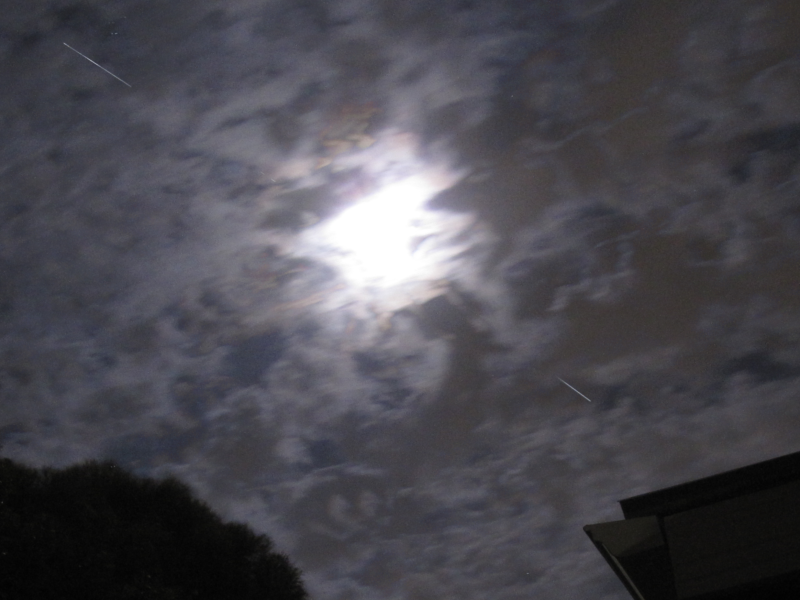 The ISS pass near the Moon from Adelaide on the evening of Friday 20 November at 20:51 ACDST. Simulated in Stellarium (the ISS will actually be a bright dot and the size of the Moon is exaggerated), click to embiggen. 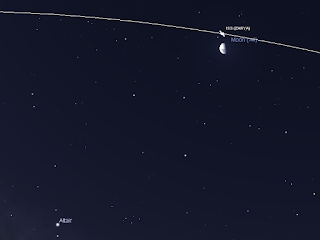 The ISS passes near/over the Moon, as seen from Brisbane on the evening of Saturday 21 November at 19:36 AEST. Simulated in Stellarium (the ISS will actually be a bright dot and the size of the Moon is exaggerated), click to embiggen. 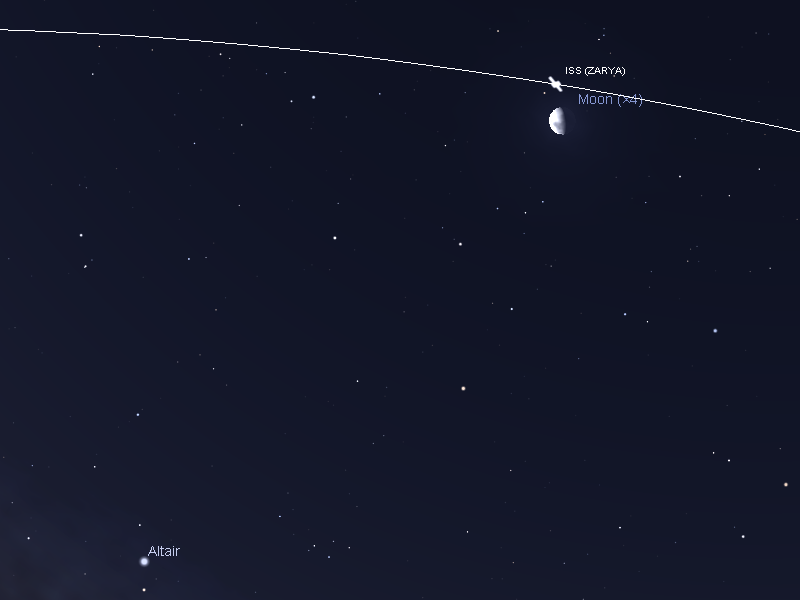 The ISS near the Moon as seen from Melbourne on the evening of Wednesday November 18 at 21:35 ACEST. 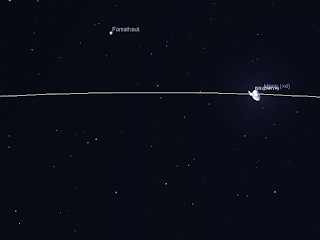 Simulated in Stellarium (the ISS will actually be a bright dot and the size of the Moon is exaggerated), click to embiggen. All sky chart showing local times from Heavens Above for Friday 20 November from Adelaide, click to embiggen. All sky chart showing local times from Heavens Above for Saturday 21 November for Brisbane, click to embiggen. 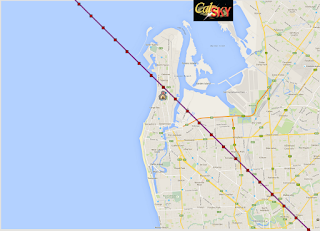 All sky chart showing local times from Heavens Above for Wednesday November 18 from Melbourne, click to embiggen . 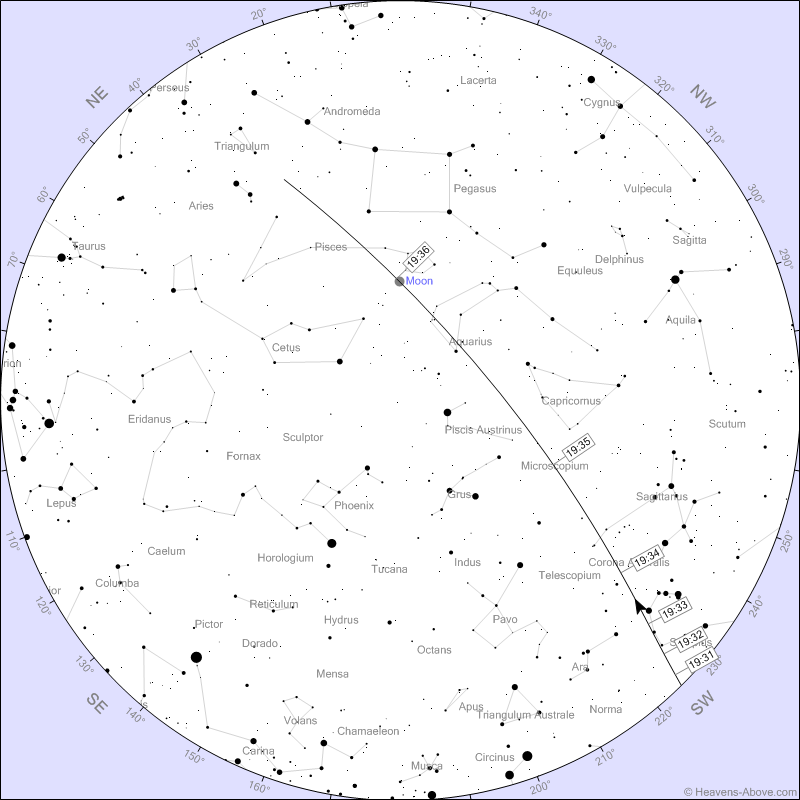 Starting tonight (Tuesday) there are a series of bright evening passes of the International Space Station lasting a more or less a week depending on where you are. For many places in Australia this series has the ISS being very bright high in the sky, and coming close to the Moon at various times. 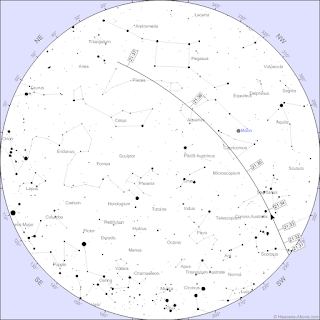 Almost everywhere in Australia will see a bright pass tonight anywhere between 7:30 and 10:00 local time. Similarly, most of Australia sees the ISS pass not far from the Moon at different days. 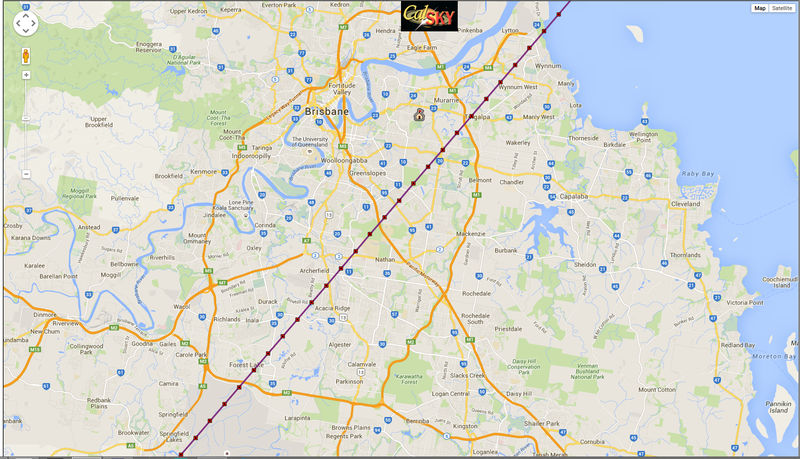 In Brisbane and sites close to it the ISS may even pass over the Moon. Example cities are below. When and what you will see is VERY location dependent, so you need to use either Heavens Above or CalSky to get site specific predictions for your location (I'm using Brisbane, Adelaide and Melbourne as examples, and you can see how different they are on different days ). Even the difference between the city centre and the suburbs can mean the difference between seeing the ISS go very close to the Moon or over the face of it. Start looking several minutes before the pass is going to start to get yourself oriented and your eyes dark adapted. Be patient, on the night there may be slight differences in the time of the ISS appearing due to orbit changes not picked up by the predictions. The ISS will be moving reasonably fast when it passes near the Moon, so be alert to catch the fleeting moment when the pair are close. What an extraordinary few weeks it has been, with aurora coming , if not thick and fast, quite often, last nights unexpected aurora featured another proton arc and "picket fences" . The Australian Space Weather Service (SWS formerly the IPS) has now issued a Geomagnetic Alert in southern Australia from 11 November for a coronal hole and an Aurora Watch for possible aurora on 12 November from a CME impact. The NOAA site has a predicted G1 storm for 11 -12 Nov (UT, 12 Nov AEDST) In the last geomagnetic storm activity was seen from 9:30-11:30 pm, in previous storms the best views were from 11:30 pm - 12:30 am but there was activity the following day. There is a strong possibility we will get unaided eye visible aurora in both Tasmania and the Southern mainland based on previous events. Evening skies are clear of the Moon, cloud conditions are rubbish at the moment, but may clear over SA and VIC, with a bit of clearing over Tas on the 12th. As always look to the south for shifting red/green glows,beams have been reported consistently over the last few aurora and a large green "blob" has been seen. follow should favourable space weather activity eventuate. ISSUED AT 2336UT/09 NOVEMBER 2015 BY THE AUSTRALIAN SPACE FORECAST CENTRE. A large northern hemisphere coronal hole is currently causing elevated solar wind. Some active geomagnetic periods are likely over the next 3 days, with storm conditions possible at high latitudes if IMF BZ turns south for an extended period. The First Quarter Moon is Thursday November 19. Saturn is in the head of the Scorpion and is close to the star nu Scorpii. The Moon is close to Saturn on the 13th. In the morning Jupiter, Venus and Mars from a line in the morning sky. 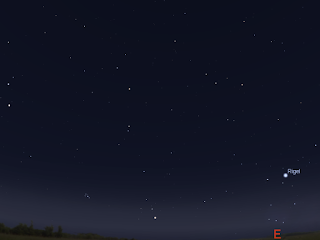 The Leonid meteor shower peaks on the morning of the 18th. 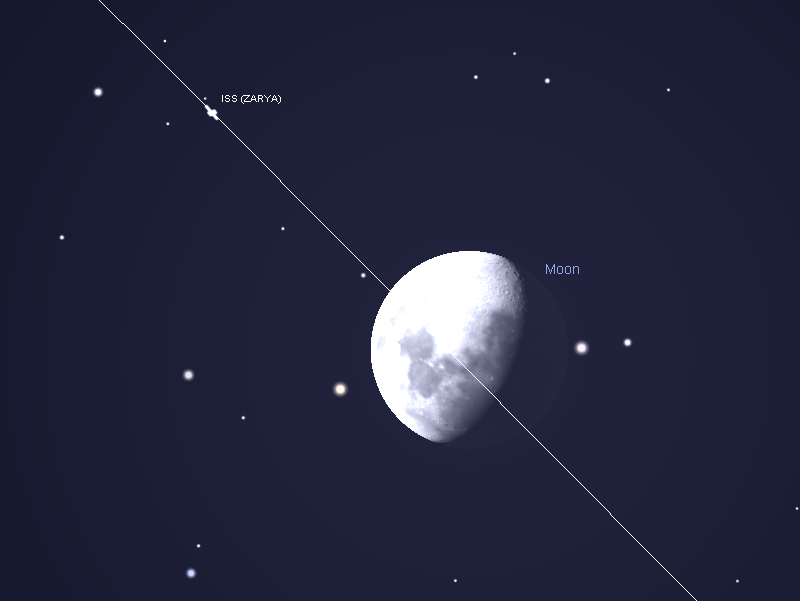 The First Quarter Moon is Thursday November 19. Evening sky on Sunday October 25 looking west as seen from Adelaide at 20:45 ACST. Saturn is visible above the western horizon in the head of the Scorpion, close to the star nu Scorpii. Similar views will be seen elsewhere in Australia at the equivalent local time. (click to embiggen). 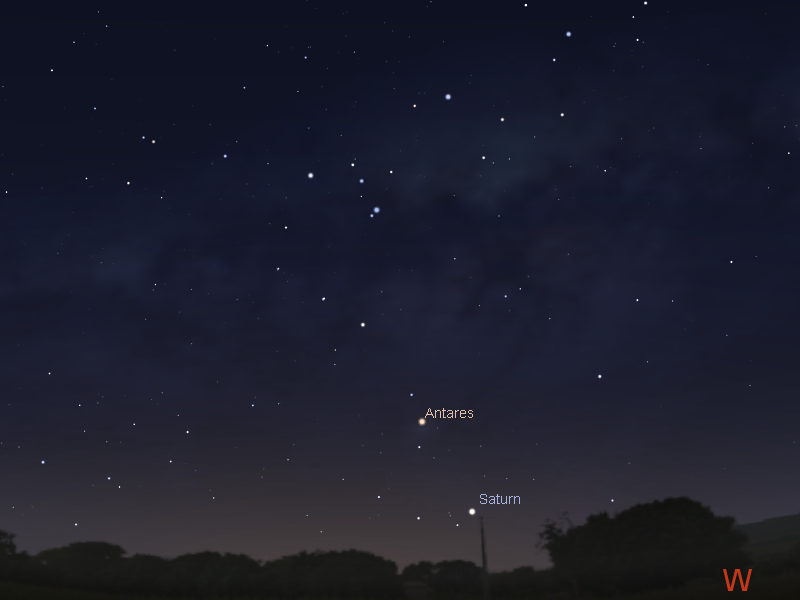 Saturn is visible at twilight in the head of the constellation of the Scorpion not far from the bright red star Antares. The sight of the distinctive back to front "question mark" constellation of the Scorpion above the horizon, with bright Saturn in its head, is very nice indeed. 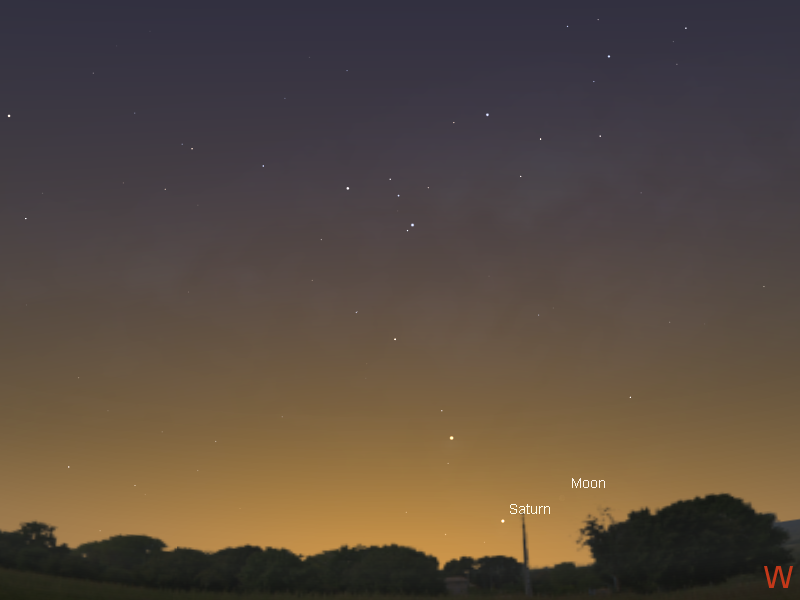 However, this is the last week to see Saturn before it disappears into the twilight glow. Saturn is close to the double star nu Scorpii at the start of the week. It moves away from nu Scorpii as the week progresses. Saturn is joined by the crescent Moon on the 13th, but the pair will be difficult to see in the twilight without a clear, level horizon. After this, Saturn is lost to view until December, when it appears in the morning sky. 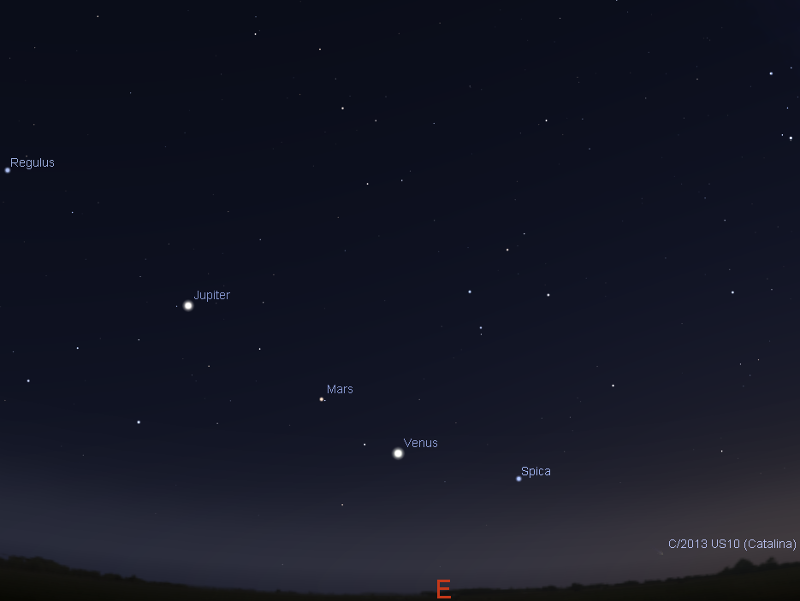 Early morning sky on Sunday November 15 looking east as seen from Adelaide at 5:00 ACDST showing Jupiter, Mars, and Venus. Similar views will be seen elsewhere in Australia at the equivalent local time. (click to embiggen). Jupiter rises higher in the morning skies and is now easy to see in the dark of early twilight. 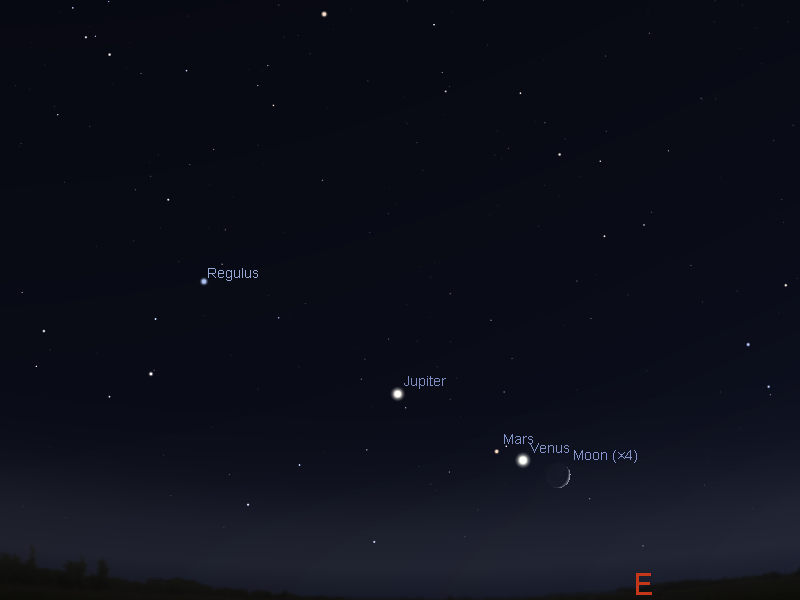 Jupiter, Mars, Venus and the bright stars Regulus form a line in the sky this week. Venus starts the week close to Mars. Morning sky looking north-east as seen from Adelaide at 5:00 am local daylight saving time on Wednesday November 18 showing Jupiter, Mars and Venus near Leo, with the Leonid Meteor shower radiant indicated with a starburst. Similar views will be seen elsewhere at the equivalent local time. Click to embiggen. On the morning of Wednesday November 18 the Leonid Meteor shower peaks (from the point of view of Australians, that's 17 November UT), with the best time being between 3-4 am. This is a not a particularly good Leonid year. Very few meteors will be visible (maybe oneto two per hour). You can use the Meteor Flux Estimator to get a prediction for your location. Use the 13 Leonids option and don't forget to set the year to 2015. 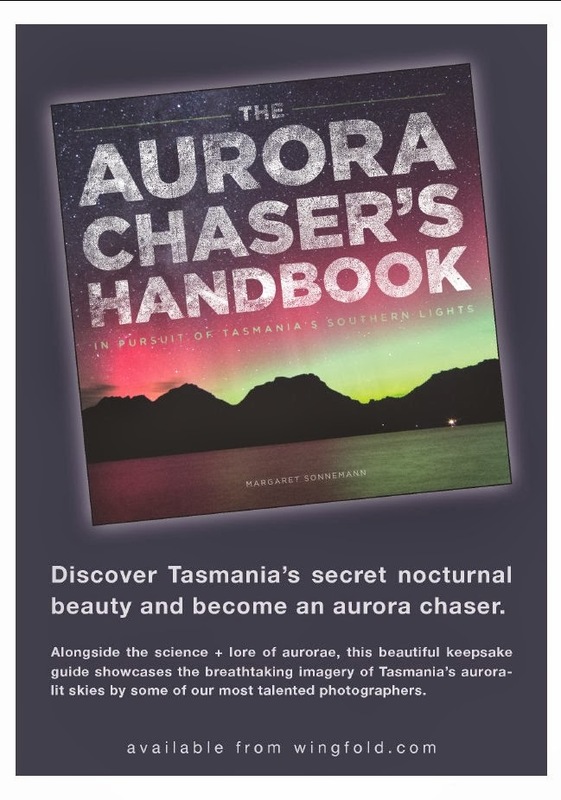 Unaided eye aurora (and beams) have been reported as of a few minutes ago in Tasmania (Stanley, 7 Mile, Hobart). 562 km/sec Bz: -7.0 nT Density = 1.0 p/cc , Lanceston Kindex currently 5. Date: 10 11 2015 1152 UT Velocity: 673 km/sec Bz: 3.0 nT Density = 2.0 p/cc It is likely that there will be bursts of auroral activity during the night as the solar wind intensity and Bz fluctuates. As always look to the south for shifting red/green glows, beams have been reported consistently over the last few aurora and a bright "proton arc" has been seen. Once again my luck held and the sky was mostly clear, there wasa bit of thin cloud about, so the scene was hazier than yesterday, but otherwise beautiful. In the images, if you look carefully, you can also see sigma Leo near Jupiter and beta Virginis (Zavijava) between Venus and Mars. Seeing daytime Venus was a bust, the thin haze was enough to stop me seeing the Moon, let alone Venus. UPDATED: 11:30 pm AEDST. Still ongoing in in some places in TAS, reports from Victoria as well. Unaided eye aurora (and beams) have been reported as of a few minutes ago in Tasmania (Ulverstone, Howden, Murdunna),and South Australia (Victor Harbour), camera only at Stoodly and goats bluff Tas. Cloud has come in for some places but still worth looking 562 km/sec Bz: -7.0 nT Density = 1.0 p/cc , Lanceston Kindex currently 5. It is likely that there will be bursts of auroral activity during the night as the solar wind intensity and Bz fluctuates. While it is currently daylight, if the storm persists there is a good chance of aurora from night fall. The NOAA site has a predicted G1-G2 storm for 7 November UT, so the storm may persist into Sunday morning. It is likely that like previous storms there will be episodic bursts of high activity followed by lulls. In the last two geomagnetic storms the best views were from 11:30 pm - 12:30 am the following day. As always look to the south for shifting red/green glows,beams have been reported consistently over the last few aurora and a large green "blob" has been seen. Again, the last few storms have been episodic, so you way have to wait a bit for activity to come. After days of cloud the sky finally cleared and I had a wonderful view of the line-up. In the images, if you look carefully, you can also see sigma Leo near Jupiter and beta Virginis (Zavijava) between Venus and Mars. Didn't see any Taurid meteors, but did see a very nice Iridium flare near Sirius. (image left 10 second exposure at 400 ASA, click to embiggen). Hopefully the skies will be claer for tomorrow, when the Moon is close to Venus, and we can have a go at seeing Venus in the daylight. The Australian Space Weather Service (SWS formerly the IPS) has now issued a Geomagnetic Alert and and Aurora Watch for possible aurora in southern Australia from 7 November from a CME impact. The NOAA site has a predicted G1 storm but confusingly, has them arriving 24 hours later than the SWS on 8 November (see also the Aurora Services forecast). 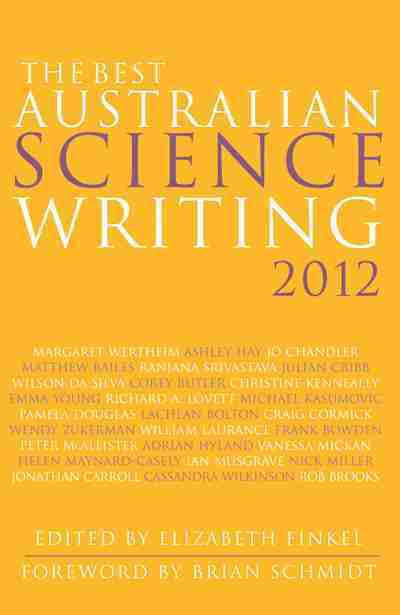 such as Tasmania and Victoria. 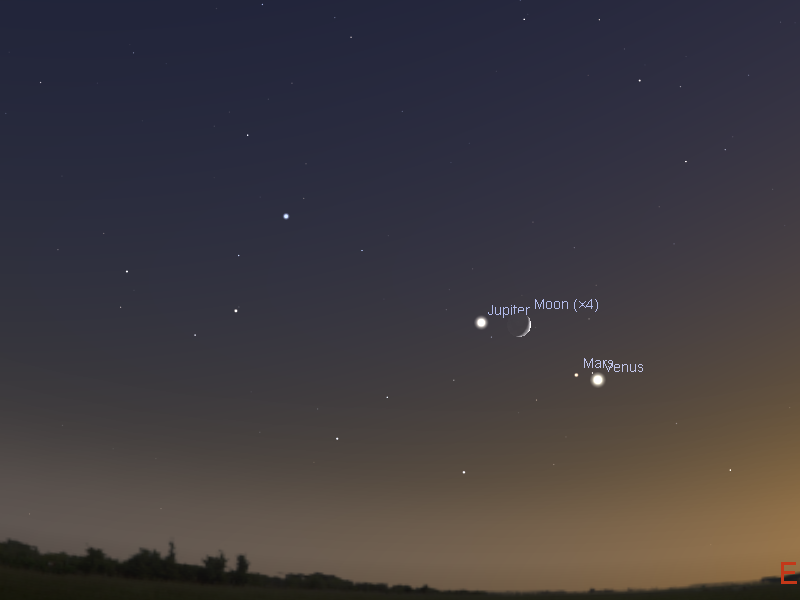 This weekend the dazzling display the bright planets have been putting on in the morning really takes off when the crescent Moon joins the line-up of Regulus, Jupiter, Mars and Venus. Venus and beta Virginis (not seen at this scale) are also very close. While the simulated horizon shots are for 5:30 am, the line up should be readily visible from about an hour before sunrise (around 5:00 am ACDST and AEDST). 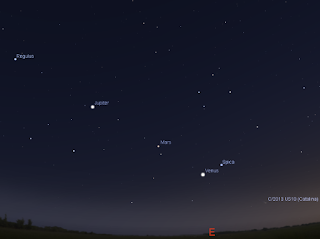 By 5:30 it may be difficult to see Mars in the growing twilight. Venus and the Moon will still be easily seen in the pre-dawn twilight, and on the 8th it will even be possible to see Venus in the daylight using the Moon to guide you (it should work on the 7th as well, but as the Moon is futher form Venus it might take a while to locate). The Taurid meteor stream is also active, although a weak stream there will only be a few meters for hour, but you might see one streak across you field of view. The Taurid radiant is in the North West, near the V shaped Hyades cluster. The Taurids are relatively bright, so there is a chance we could see some nice fireballs. You can find out the predicted rates for your location using the NASA meteor flux estimator (use 2 Southern Taurids and make sure you set the dates to 6-7,7-8 November 2015). It doesn't look like there will be any ISS passes in the morning, but there is a Iridium Flare in Adelaide at 5:31 am ACDST right next to Sirius. Sighting Iridium flares is When and what you will see is VERY location dependent, so you need to use either Heavens Above or CalSky to get site specific predictions for your location. On the morning of the 7th I'll be on ABC local radio (Adelaide 891 AM) with Ashley Walsh, going live around 6:15 am ACDST (6:45 AEDST, 5:45 AEST) talking about the line-up. So listen if you can (they doing streaming, so even if you are not in Adelaide you can catch this on your computer). The Australian IPS has now issued a G1 storm alert, as has the NOAA site . There is a prediction for G2 storms later this evening/early tomorrow morning. Geomagnetic conditions will probably fluctuate as they did last night. Currently Velocity: 686 km/sec Bz: -5.0 nT Density = 3.0 p/cc , Kindex currently 5 overall and 6 for the Launceston magnetometer. It is likely that there will be bursts of auroral activity during the night as the solar wind polarity reverses. Last night, when there were breaks in the cloud, impressive aurora displays were seen in Tasmania and southern Victoria (Wilson's prom showed excellent colour) between 11:30 pm and 12:30 am on the 4th, with smaller displays before and after. Sadly, like last night, the weather over most of Southern Australia is rubbish at the moment. Still, if there are breaks in the cloud go out and have a look. As always look to the south for shifting red/green glows, beams have been reported consistently over the last few aurora (and were obvious, along with a "picket fence" last night) and a large green "blob" has been seen. The New Moon is Thursday November 12. Saturn is in the head of the Scorpion and comes very close to the star nu Scorpii. In the morning the planet dance continues, the Moon, Jupiter, Venus and Mars from a line in the morning sky. 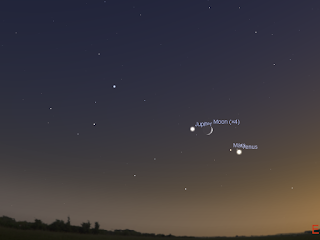 The Moon is close to Jupiter on the 7th and is close to Venus and Mars on the 8th. The New Moon is Thursday November 12.The Moon is at apogee, when it is furthest from the Earth, on the 8th. Evening sky on Sunday October 25 looking west as seen from Adelaide at 20:45 ACST. Saturn is visible above the western horizon in the head of the Scorpion, extremely close to the star nu Scorpii. Similar views will be seen elsewhere in Australia at the equivalent local time. (click to embiggen). 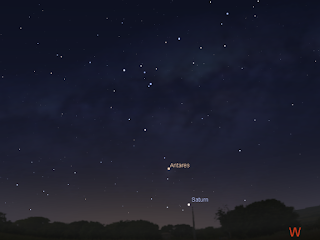 Saturn is easily visible from twilight in the head of the constellation of the Scorpion not far from the bright red star Antares. The sight of the distinctive back to front "question mark" constellation of the Scorpion above the horizon, with bright Saturn in its head, is very nice indeed. Saturn is between to bright star Graffias (Beta1 Scorpius) at and the double star nu Scorpii at the start of the week. It continues to move closer to nu Scorpii and will be closest on the 7th, when the two will seem to merge together, the will be close in medium power telescope eyepieces, but being so close to the horizon may make imaging difficult. . The addition of Saturn to the head of the Scorpion changes it quite a bit, giving it a distinct "hammer head". While Saturn is still visible from the end of twilight, it is rapidly heading towards the horizon. There is only a narrow window for observation from around 8:30 until around 9:00 pm as it gets too close to the horizon. This is still a good time to scan the tail of Scorpius and Sagittarius with binoculars to reveal the clusters in and around the Scorpions tail, they will remain reasonably visible until around 11 pm. Early morning sky on Sunday November 8 looking east as seen from Adelaide at 5:00 ACDST showing Jupiter, Mars, Venus and the crescent Moon close together. Venus and Mars are at their closest. Similar views will be seen elsewhere in Australia. (click to embiggen). Jupiter rises higher in the morning skies and may require a flat unobstructed horizon to see it early in the week. 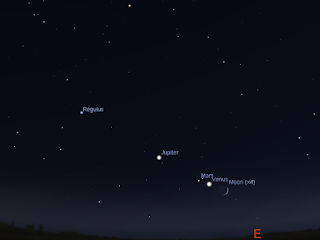 The crescent Moon Jupiter, Mars, Venus and the bright stars Regulus form a line in the sky this week. Venus starts the week close to Mars. Over the week Venus draws away from Mars.The Moon approaches the trio of Jupiter Venus and Mars and is close to Jupiter on the 7th and Venus and Mars on the 8th. More details of the Planet Dance with charts and animation here. There are lots of interesting things in the sky to view with a telescope. Especially with Saturn in the sky. If you don't have a telescope, now is a good time to visit one of your local astronomical societies open nights or the local planetariums. Aurora have been reported as of a few minutes ago in Tasmania (White Beach, Stanley, Dunalley, Taroona) in gaps between the cloud. The Australian IPS has now issued a G1 storm alert. Geomagnetic conditions are fluctuating wildly, with the Bz see-sawing between positive and negative. Velocity: 668 km/sec Bz: -1.0 nT Density = 4.0 p/cc, Kindex currently 3. It is likely that there will be bursts of auroral activity during the night as the solar wind polarity continues to change. This is a follow up to yesterdays Geomagnetic warning. The Australian IPS has now issued a Aurora Watch for possible aurora in southern, and possibly central Australia from 2-3 November (from a coronal hole, not a CME as in the watch notice) . The NOAA site still has a predicted G3 storm from a fast moving solar wind stream from a coronal hole that produced G3 storms in early October 7-8. The arrival of the solar wind stream will now be somewhere between the evening of the 2nd and the morning of the 3rd Australian time. Given the bounty of aurora from the last visitation of this hole, there is a strong possibility we will get unaided eye visible aurora in both Tasmania and the Southern mainland. Evening skies are clear of the Moon, and the waning Moon will interfere on the 2nd and 3rd, but not as much as the Full moon. Sadly, the weather over most of Southern Australia is rubbish at the moment. Southern Skywatch November, 2015 edition is now out! The November edition of Southern Skywatch is now up. This month features still more nice planetary action . Unfortunately, most of it is in the early morning with Venus, Mars and Jupiter forming a line in the morning sky, Venus and Mars close and the crescent Moon joining them. Jupiter climbs higher in the morning sky and has close encounters with the crescent Moon. 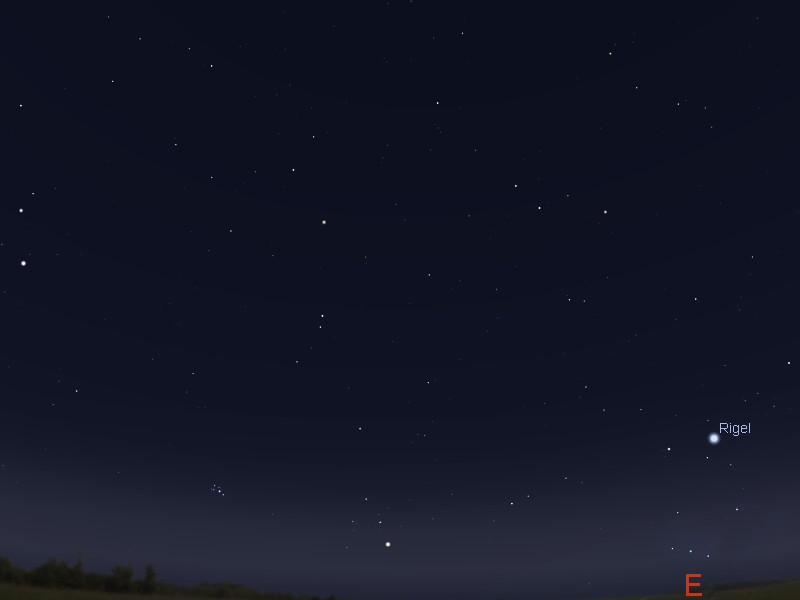 Mars is visible low in the early morning sky and has close encounters with Venus and the crescent Moon. Saturn is in the western evening sky and is lost to sight mid-month. Venus is prominent in the morning twilight and is close to the crescent Moon on the 8th. 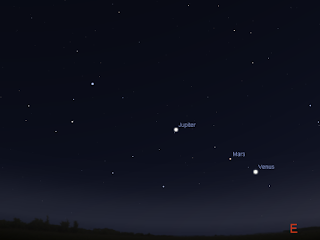 It forms a line with Mars and Jupiter and has a close encounter with Mars during the month. The Australian IPS has issued a Geomagnetic Disturbance Warning for possible major storms and the NOAA site has a predicted G3 storm from a fast moving solar wind stream from a coronal hole that produced G3 storms in early October 7-8. The arrival of the solar wind stream will be anywhere between the morning of the 2nd of the morning of the 3rd Australian time (it might even arrive early on the evening of the 1st). Given the bounty of aurora from the last visitation of this hole, there is a strong possibility we will get unaided eye visible aurora in both Tasmania and the Southern mainland. Evening skies are clear of the Moon, and the waning Moon will interfere on the mornings of 2nd and 3rd, but not as much as the Full moon. Since the ISS was due to make a daratic close approach to the Moon, and I had to get up at 4:30 t see it, ofcourse there were clouds everywhere. I did see the ISS travelleing towards the Moon, but I didn't get the closest approach, the hole the the cloud I had been following the ISS through went away at the critical moment (just like the solar eclipse in Cairns). I also saw the exit of the ISS. Cloud have got more images but I angled the camera on my recolection that the ISS's orbit was flatter than it really was.